Irish Hearth Soaps are a celebration of our family's heritage - we have incorporated traditions, as well as popular Irish icons when formulating the ingredient and scent combinations while crafting these soaps (as well as scents just for fun)! Every batch is hand stirred and aged to perfection. If you can't afford the airfare to Ireland - buy a bar of soap, step into the shower and let yourself be whisked away!! Soap slabs ready to be cut! Irish Hearth Soaps was born as a result of our search for soaps that were gentle to sensitive skin. After many months of trial and testing, we created the recipe that is used today. We personally hand-craft and test all soaps. Why buy handcrafted soaps? Our soaps are made from the best olive and coconut oils. Cocoa butter is added for its emollient properties. Handmade soaps retain their natural glycerin so these soaps won't cause your skin to dry out. Commercial manufacturers often remove all of the glycerin in their bars to sell as a byproduct - resulting in a lighter bar that reduces shipping costs for them, but can dry out your skin!! Goat's milk gives these bars a wonderfully creamy texture and silky lather. Fragrances are made up of a blend of essential or fragrance oils. Irish Hearth Soaps contain no animal fats (other than goat's milk) and are cruelty free. Products are tested by us or willing volunteers. All soaps weigh at least 3.5 ounces. Since they are handmade, some bars may be larger. Due to their handcut nature, each bar will be a little different. 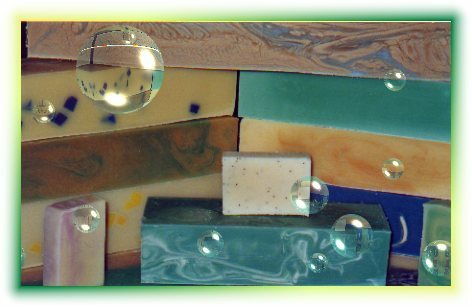 Even though no dyes are used, you may be surprised at the range of colors in our soaps. Some colors in the soaps are the result of added herbs and spices. The brighter colors are achieved by using oxide and ultramarine pigments that are cosmetic grade. If you are tired of subjecting your skin to detergent bars pumped out of large machines, give us a try - your skin will thank you! Thank you for visiting our web page and we look forward to doing business with you! A made in the USA quality product! Special thank you for the custom Irish Hearth build by apexmeco.com.